RiseUp Summit 2014 will take place from the 12th till the 14th of the October 2014 at the GrEEK Campus in Downtown, Cairo. We are individuals and organizations who address the need to create a viable, vibrant ecosystem to support entrepreneurs. We are the sum that is bigger than the parts. We are entrepreneurs. We are investors. We are mentors. We are speakers. We are professionals. We are volunteers, and we are a community, united in a single, shared purpose. RiseUp Summit is a packed two-day-event showcasing and celebrating the stories of Egypt’s entrepreneurs, including factors of success and challenges. 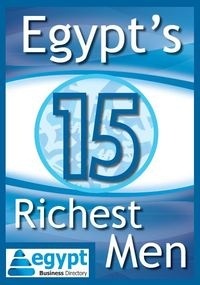 It also connects the community to resources offered by all ecosystem stakeholders in Egypt and the world at large. The event will feature a mixture of Keynote Speeches, Panel Discussions, Roundtables, Fireside Chats, Workshops, Pitch Events, a Startups Trade Fair and will be followed by a celebratory party. All keynote speeches and panelists are investors, professionals or entrepreneurs. Address 107 GrEEk Campus, Youssef El Gendy St. Youssef El Gendy St.